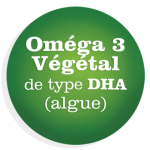 Qu’est ce que l’astaxanthine naturelle d’algue non OGM ? C’est une culture d’algue Haematococcus pluvialis en eau douce de qualité contrôlée. Les caroténoïdes comme l’astaxanthine sont solubles dans l’huile et donc se mélangent mal avec de l’eau; avec des phospholipides, il a été démontré que l’absorption était améliorée de près de 12 fois, par rapport à une formule sans phospholipides (21). L’astaxanthine est le pigment rouge trouvé dans la micro algue Haematococcus Pluvialis, pigment de la famille des caroténoïdes (1, 2). Au fur et à mesure du ‘chemin’ de l’astaxanthine dans la chaîne alimentaire, la couleur devient encore plus concentrée, créant les couleurs rouges et roses que nous voyons dans les poissons comme le saumon, ou encore qui colorent les flamants roses (6, 10). La fonction naturelle de l’astaxanthine, dans l’algue Haematococcus, est d’agir comme un écran solaire naturel pour cette algue qui est exposée en permanence au rayonnement UV (3). L’astaxanthine est si efficace pour absorber le rayonnement solaire subit par les algues que les chercheurs ont tout d’abord proposé de l’utiliser en écran solaire (1 à 4) en raison de sa puissante propension à absorber la lumière ultraviolette (5). Mais en l’examinant de plus près, ils ont découvert que l’astaxanthine protégeait les algues contre les processus destructeurs (4, 5)( 22, 23, 24 ). Hussein G, Sankawa U, Goto H, Matsumoto K, Watanabe H. Astaxanthin, a carotenoid with potential in human health and nutrition. J Nat Prod. 2006 Mar;69(3):443-9. Miyashita K. Function of marine carotenoids. Forum Nutr. 2009;61:136-46. doi: 10.1159/000212746. Epub 2009 Apr 7. Lemoine Y, Schoefs B. Secondary ketocarotenoid astaxanthin biosynthesis in algae: a multifunctional response to stress. Photosynth Res. 2010 Nov;106(1-2):155-77. Lyons NM, O’Brien NM. 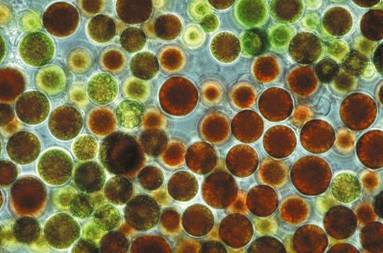 Modulatory effects of an algal extract containing astaxanthin on UVA-irradiated cells in culture. J Dermatol Sci. 2002 Oct;30(1):73-84. Hama S, Takahashi K, Inai Y, et al. Protective effects of topical application of a poorly soluble antioxidant astaxanthin liposomal formulation on ultraviolet-induced skin damage. J Pharm Sci. 2012 Aug;101(8):2909-16. Higuera-Ciapara I, Felix-Valenzuela L, Goycoolea FM. Astaxanthin: a review of its chemistry and applications. Crit Rev Food Sci Nutr. 2006;46(2):185-96. Yuan JP, Peng J, Yin K, Wang JH. Potential health-promoting effects of astaxanthin: a high-value carotenoid mostly from microalgae. Mol Nutr Food Res. 2011 Jan;55(1):150-65. Yazaki K, Yoshikoshi C, Oshiro S, Yanase S. Supplemental cellular protection by a carotenoid extends life span via Ins/IGF-1 signaling in Caenorhabditis elegans. Oxid Med Cell Longev. 2011;2011:596240. Kashima N, Fujikura Y, Komura T, et al. Development of a method for oral administration of hydrophobic substances to Caenorhabditis elegans: pro-longevity effects of oral supplementation with lipid-soluble antioxidants. Biogerontology. 2012 Jun;13(3):337-44. Available at: http://www.nhiondemand.com/viewcontent.aspx?mgid=1269. Accessed January 21, 2013. Terazawa S, Nakajima H, Shingo M, Niwano T, Imokawa G. Astaxanthin attenuates the UVB-induced secretion of prostaglandin E2 and interleukin-8 in human keratinocytes by interrupting MSK1 phosphorylation in a ROS depletion-independent manner. Exp Dermatol. 2012 Jul;21 Suppl 1:11-7. Yasui Y, Hosokawa M, Mikami N, Miyashita K, Tanaka T. Dietary astaxanthin inhibits colitis and colitis-associated colon carcinogenesis in mice via modulation of the inflammatory cytokines. Chem Biol Interact. 2011 Aug 15;193(1):79-87. Lee DH, Kim CS, Lee YJ. Astaxanthin protects against MPTP/MPP+-induced mitochondrial dysfunction and ROS production in vivo and in vitro. Food Chem Toxicol. 2011 Jan;49(1):271-80. Liu X, Osawa T. Astaxanthin protects neuronal cells against oxidative damage and is a potent candidate for brain food. Forum Nutr. 2009;61:129-35. Park JS, Mathison BD, Hayek MG, Zhang J, Reinhart GA, Chew BP. Astaxanthin modulates age-associated mitochondrial dysfunction in healthy dogs. J Anim Sci. 2012 Oct 16. Wolf AM, Asoh S, Hiranuma H, et al. Astaxanthin protects mitochondrial redox state and functional integrity against oxidative stress. J Nutr Biochem. 2010 May;21(5):381-9. Riccioni G, Speranza L, Pesce M, Cusenza S, D’Orazio N, Glade MJ. Novel phytonutrient contributors to antioxidant protection against cardiovascular disease. Nutrition. 2012 Jun;28(6):605-10. Sun Z, Liu J, Zeng X, et al. 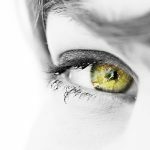 Protective actions of microalgae against endogenous and exogenous advanced glycation endproducts (AGEs) in human retinal pigment epithelial cells. Food Funct. 2011 May;2(5):251-8. Anunciato TP, da Rocha Filho PA. Carotenoids and polyphenols in nutricosmetics, nutraceuticals, and cosmeceuticals. J Cosmet Dermatol. 2012 Mar;11(1):51-4. Yang HJ, Sugiura Y, Ikegami K, Konishi Y, Setou M. Axonal gradient of arachidonic acid-containing phosphatidylcholine and its dependence on actin dynamics. J Biol Chem. 2012 Feb 17;287(8):5290-300. Rengel D, Diez-Navajas A, Serna-Rico A, Veiga P, Muga A, Milicua JC. Exogenously incorporated ketocarotenoids in large unilamellar vesicles. Protective activity against peroxidation. Biochim Biophys Acta. 2000 Jan 15;1463(1):179-87. Goto S, Kogure K, Abe K, et al. Efficient radical trapping at the surface and inside the phospholipid membrane is responsible for highly potent antiperoxidative activity of the carotenoid astaxanthin. Biochim Biophys Acta. 2001 Jun 6;1512(2):251-8. Shibata A, Kiba Y, Akati N, Fukuzawa K, Terada H. Molecular characteristics of astaxanthin and beta-carotene in the phospholipid monolayer and their distributions in the phospholipid bilayer. Chem Phys Lipids. 2001 Nov;113(1-2):11-22.